Bosham Capital Advisors (“BCA”) is pleased to announce that Mark Newton will be joining their expanding team in an advisory role, providing deep sector expertise in media and digital content to assist with various mandates. Mark has had a long and distinguished career in media, particularly TV content production and distribution, and commercialisation of intellectual property is at the heart of his skill sets. Mark spent over 15 years as Executive VP of Fremantle Enterprises that included the building of a multi-platform business model for commercialising their TVIP business. He also created and built a €25m sponsorship and brand integration business. Mark enjoys working with early stage businesses to help them evolve from “vision” to “operational excellence”. He also enjoys co-creating the strategies, processes and partnerships that lead to structured growth resulting in capitalised businesses. 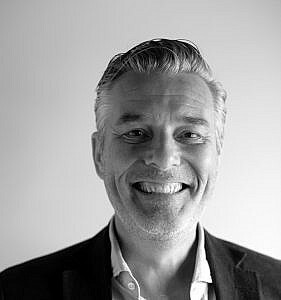 Mark has had an association with BCA’s Edward Boddington (Bod) for many years including building an Interactive Voice Response business in the 90’s to scoping and launching a voting platform in the US for ‘American Idol’ in 2002. Bosham Capital Advisors (BCA) -www.boshamcapitaladvisors.com - is an independent investment, corporate finance and capital advisory firm, based in London, which acts as an advisory bridge between investors and investees in Asia & UK. BCA provides investment, corporate finance, strategic advisory, M&A and capital raising services primarily across the digital-media, disruptive technology, consumer and real estate sectors.